V3.7.052 of Messages fixes the constant crashing on Wear OS. The widespread issue started creeping up five days ago with the rollout of Messages 3.7.049. Watches from all walks of life are seeing the problem, so this doesn't seem to be limited to a certain model, maker, or Wear OS version (whatever these are now). I downloaded Messages on my own Skagen Falster, and I can see the problem too. When I tap to open the app, I see the dark blue'ish screen that indicates the app is loading, then it disappears and I'm taken back to the app menu. Affected users say that no matter how many times they uninstall and reinstall the app, or what else they try to do, the bug keeps on occurring. The issue has been escalated to the Messages team, so we'll hopefully have a fix soon. In the meantime, all you can do is sit tight. 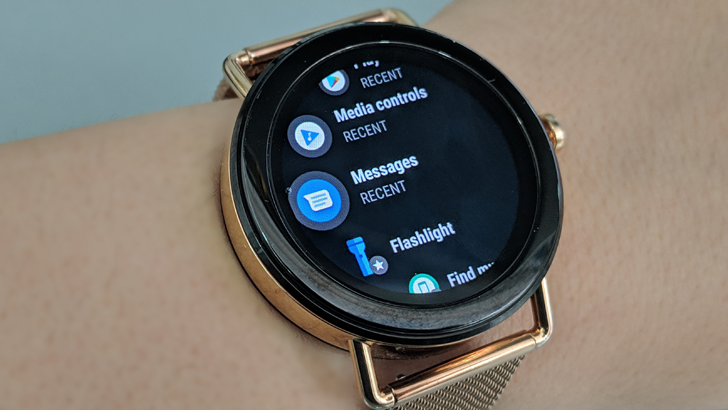 Or if it's worth the trouble, you can always try sideloading an older version of Messages for Wear OS from APK Mirror to go back to a functional release.